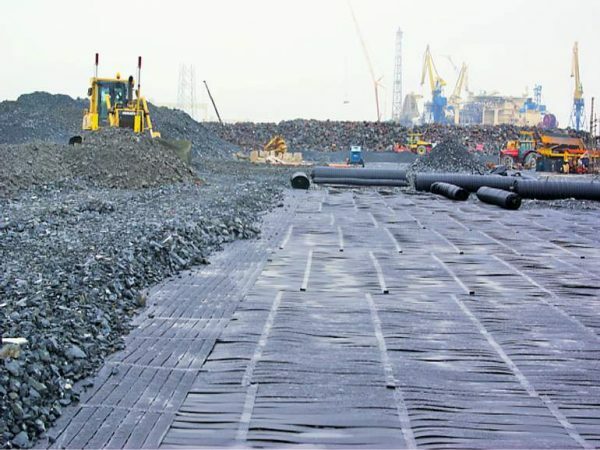 ParaLink® is an ultra-strong reinforcement geogrid used in the most demanding civil engineering applications. It is amongst the most tried and tested geogrids in the world, offering a 100+ year design life, with three decades of case histories around the globe backing its success. When ParaLink® is installed on soft soils, it helps the ground perform better than it does in its natural state; standing steeper, accommodating greater loads, distributing loads and settling less. Piles transfer embankment loading down to a firm stratum. A layer of high tensile strength ParaLink® is used to bridge across the top of piles to distribute the load and optimize pile design. The addition of ParaLink® allows for a decrease in the number of piles and aggregates necessary to support the load. This decrease in piles and aggregates leads to savings on materials, labor, and even safety costs. Paralink® provides adequate reinforcement for spans over sinkholes and other weak zones or voids to support embankment loads. The strength of Paralink® provides peace of mind, mitigating safety concerns when constructing in areas prone to sinkholes, mining areas, or karst areas. Provides long-term protection and support in the event a sinkhole event occurs. Founded in 1879, Maccaferri has become a worldwide reference in the design and development of advanced solutions for erosion control and soil stabilization. Our team is made up of the highest caliber engineering professionals to help us deliver long-lasting solutions, technical know-how, and project site support. to our valued clients. Check out some of our successful projects using ParaLink around the world!